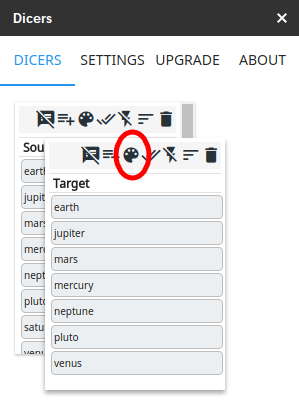 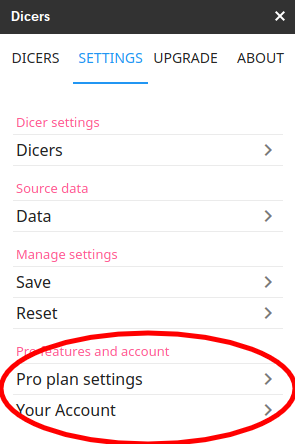 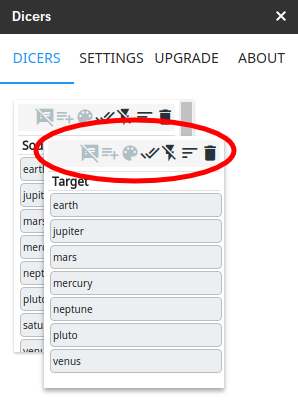 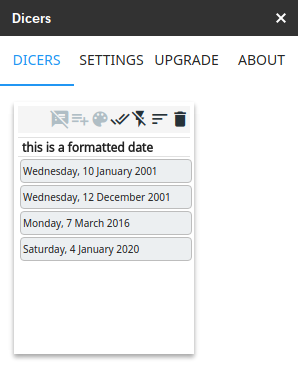 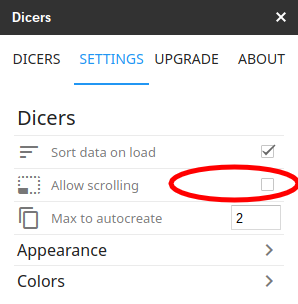 Now you can specify “allow scrolling” for Dicers. 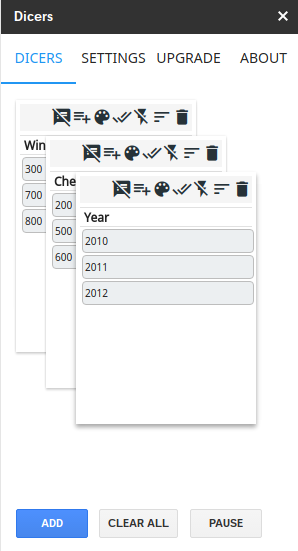 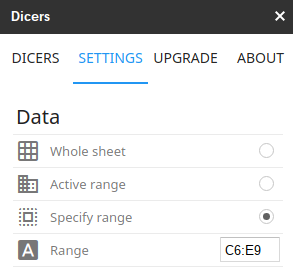 Previously you could not extend the dimensions of Dicers beyond the add-on sidebar. 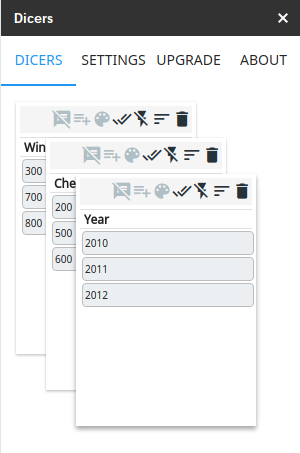 Enabling this feature allows you to extend them beyond those limits. 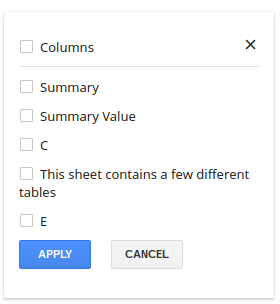 Previously you could not have leading blank rows or columns, and the table would need to start at A1 to be considered if ‘Wholesheet’ was selected in Data Settings. 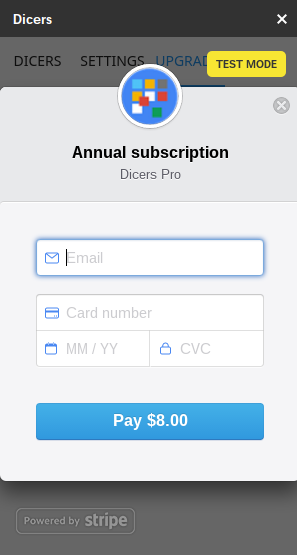 Trial subscription is available via a coupon code. 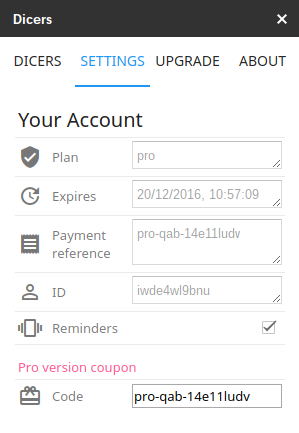 This will give access for some period of time. 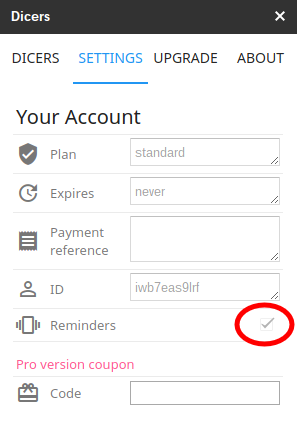 Coupons can be redeemed via the Account tab. 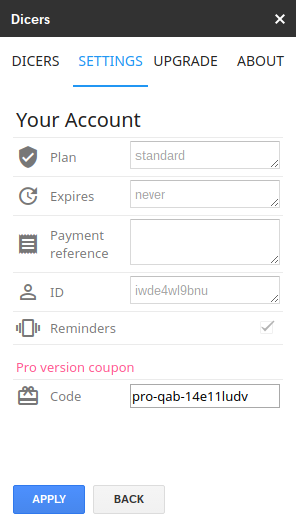 If you’d like a trial coupon, contact me. 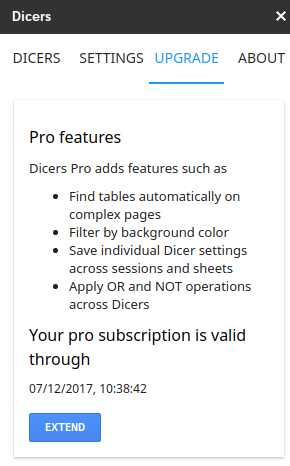 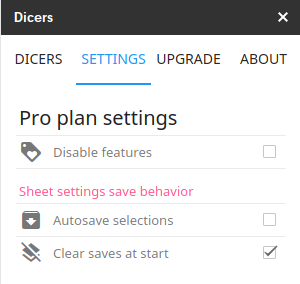 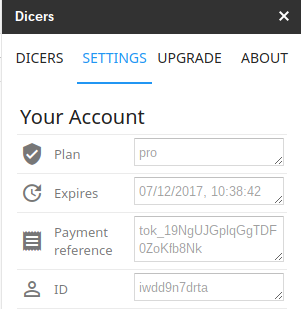 When you start a new session of Dicers, the settings applied will depend on how you’ve set up the initial settings to be retrieved from via the Save page. 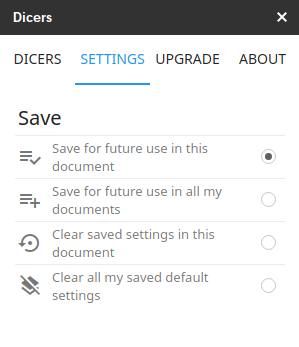 Pro settings are no different than any other settings so to enable them to persist across sessions, either for this document or for all your documents, you should Apply the relevant options them via the SAVE page when you make changes to any add-on settings to make them persistent. 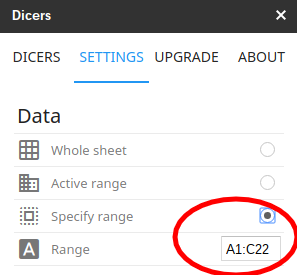 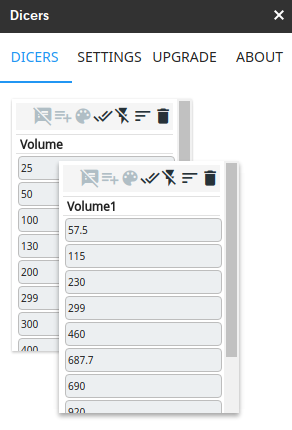 If you have a sheet with multiple tables on it, or with leading blank columns or rows, and you have selected “wholesheet” from the Data selection page, these blanks will be all be included in the dicers list of values. 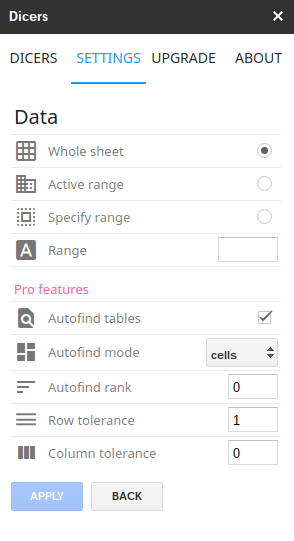 The Pro version introduces autofind tables, which means you don’t need to bother with that. 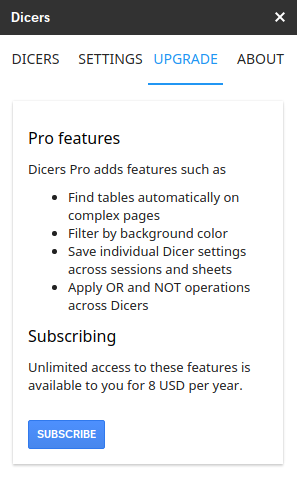 You’ll notice a number of new Icons associated with each Dicer. 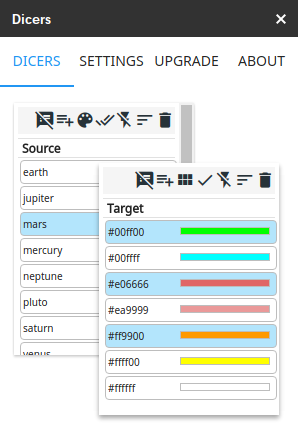 Rows with matching colors can be selected, sorted, combined with other value or color dicers just like value selections. 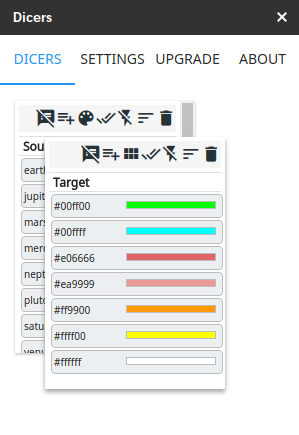 Here’s a selection with multiple colors selected. 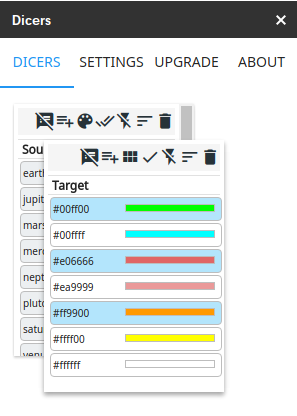 Switching back to value dicers can be done with the icon highlighted. 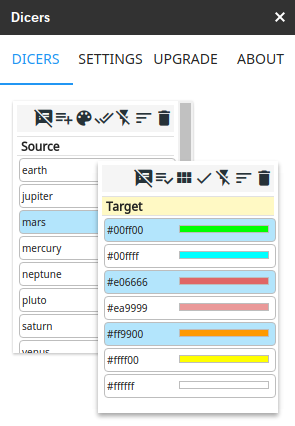 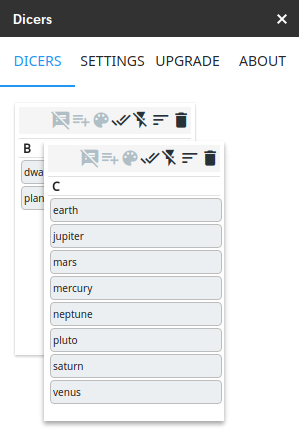 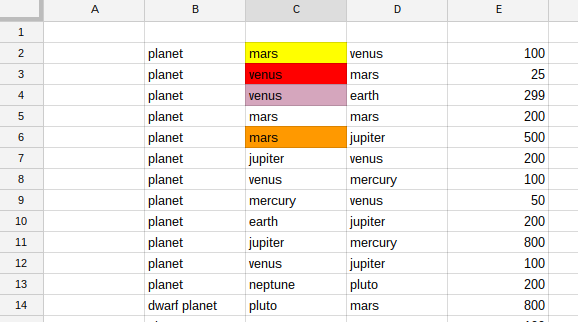 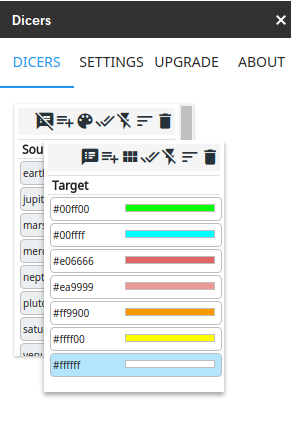 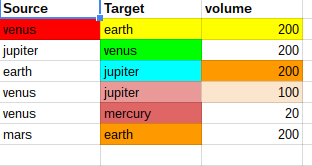 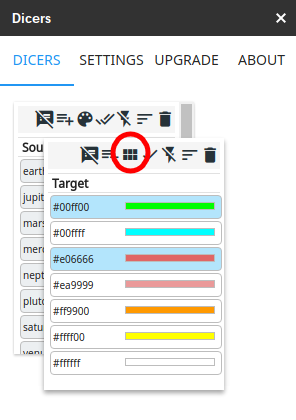 Then rows with “mars” OR rows with any of the selected color are shown.